Boeing's flagship fleet of 787 Dreamliner aircraft will be grounded for the foreseeable future after a preliminary report from the National Transportation Safety Board (NTSB) said the cause of two battery fires had yet to be found, and that Japanese investigators are similarly baffled. 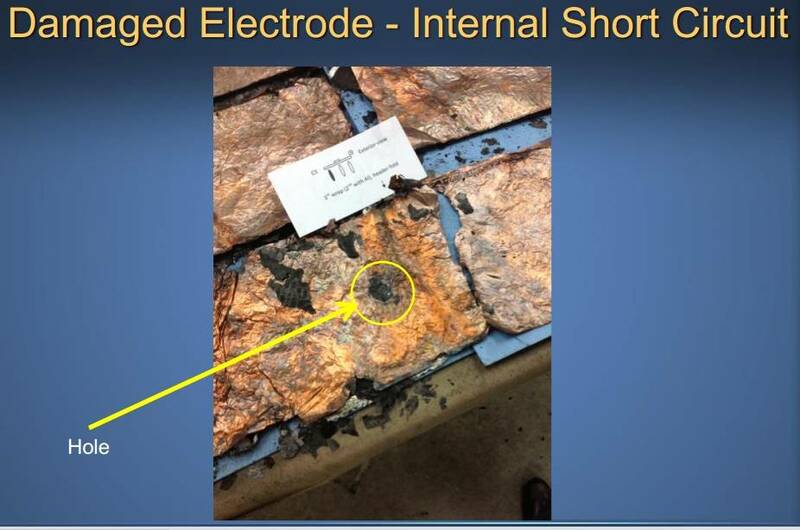 "We have not ruled anything out as a potential factor in the battery fire; there are still many questions to be answered," NTSB chairman Deborah Hersman in a statement. "One of these events alone is serious; two of them in close proximity, especially in an airplane model with only about 100,000 flight hours, underscores the importance of getting to the root cause of these incidents." That's very bad news for Boeing, which needs to get the issue sorted out before buyers start cancelling orders. Boeing has been in crisis mode since an in-air fire on an All Nippon Airways flight in Japan and a subsequent ground fire in Boston caused the FAA to revoke the aircraft's flight certification in the US. All other 787 operators have grounded their aircraft. "In order to ensure the integrity of the process and in adherence to international protocols that govern safety investigations, we are not permitted to comment directly on the ongoing investigations," said the company in a statement. "Boeing is eager to see both investigative groups continue their work and determine the cause of these events, and we support their thorough resolution." The preliminary findings from the NTSB on the Boston fire report that the plane engineers noticed smoke and flames coming from the auxiliary power unit located under wings. Fire crews were on the scene in five minutes, but it took nearly two hours before the fire was reported as "controlled." The aircraft's 63lb batteries under investigation by the NTSB consist of eight 3.7V cells, all of which were damaged in the incident. All have now been CT scanned for anomalies, and six so far have been forensically taken apart in search of the cause of the problem. 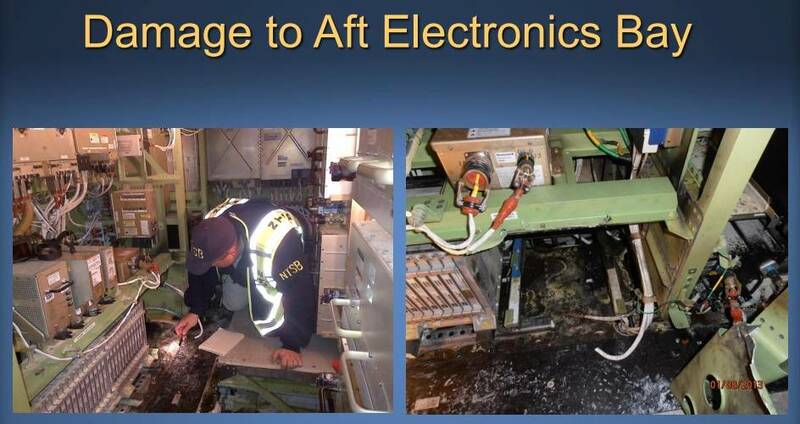 The batteries in the Boston flight have showed some evidence of a short circuit and indications of "thermal runaway" leading to a destructive chain reaction, the NTSB said. Initial tests at a facility in Arizona show no problems, while Japanese investigators report that their APU circuit boards are too badly burnt to provide meaningful data at this time. The 787's batteries are a critical component in the aircraft's design. Boeing got rid of a lot of internal mechanics on the aircraft to save weight and boost fuel efficiency, and shifted to electronically controlled systems. In order to supply enough power, the aircraft depends on its battery packs located under the wings and cockpit. To make matters worse, the 787 doesn't have fire-suppression systems in its electronics bays; just smoke detectors. The aircraft has an inert gas system in the cargo hold to counter fire, but the FAA decided similar systems weren't necessary for other areas of the aircraft. Finding another battery supplier, or a different power source, would be a massive problem since the 787's batteries are a custom design Boeing outsourced to Japanese manufacturer GS Yuasa. Much of the 787's systems were provided by outsourcing partners, a decision Boeing said at the time would result in considerable costs savings.